Hi! In this post, I mentioned some ways which help in hair growth. But first things first. It's your duty to share and comment on this blog post. Again my message is same, avoid chemical hair products these are not good for your body. All you do is little change in routine activity. Just stay with me and keep sharing my posts, I'll be bringing some amazing healthy news. WHAT?... Yes you have to do it. Tramming hair is essential to make your hair grow faster. Training 1/4 of an inch of your hair every 6-8 weeks is beneficial for you. You have to get rid of the dead ends of your hair in order to get healthy not just long hairs. A type of our food decides what to do with your body. If you eat protein rich foods you will definitely see a huge difference in your hair growth and its quality too. Some of the best foods which I recommend you should take is. Fish , eggs , nuts and beans. Vitamins also important so, additionally eating fresh fruits and vegetables will provide your body all essential vitamins for your body. Also helps in hair growth. But if you want really fast growth you can take supplemey for it, biotin also knows as the "HAIR VITAMIN" what it do,? It will help increase the strength and health of your hair. Some oils really help in hair growth. Rubbing aturaloils helps to stimulate hair growth and make your scalp healthy. These oils include. Lavender, .. Rosemary ,.. Thyme .. Cedarwood and jojoba will help to clear all your dirt ad other impurities. 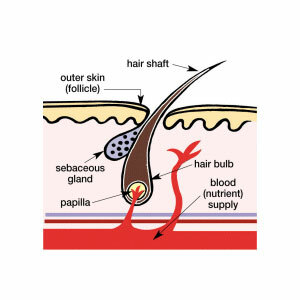 They unblock hair follicles ad deliver nutrients and vitamins directly to your scalp. All you do is mix drops of these oils and massage your head 2-3 times a week.ensure you will be amazed. This is really very touching. Very relaxable thing in the world. This is also one of the fastest way to grow your hair. Every time you wash your hair gently massage your head for about 30 seconds,, ONLY! Ok ok up to one minute. THAT'S GOOD? This will open your blood vessels and increase blood circulation which will deliver oxygen and essential nutrients to the hair follicles to enable healthy hair growth. You will see a huge difference in 4-6 weeks. It's simple don't worry. Mix 1 part of circuit oil with 1 part honey, melt it gently in a plot. After this you have got an amazing hair mask. It is naturally so let it on your hair for about 30-90 minutes, then rinse out with a natural shampoo. This will surely help make your hair grow faster. If you're looking for really long hair, here is the secret. Simply mix apple cider vinegar with a bit of water and use it as hair rinse product build up.it will revitalize your hair leaving it soft and smooth. tags: hair styles , hair ,hair removal , pubic hair , red hair , no hair down ,hair removal , donate hair, hair products, strong hair. healthy hair.